'THE CROFT' is a 3 bedroom single storey house (can sleep 8+) which used to be the main farmhouse when Quoyeden was a croft many years ago and is reputed to be over 200 years old and is situated next to 'THE BYRE'. (which is also available to let). 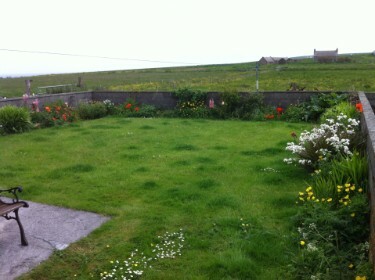 Situated in the south parish area of South Ronaldsay and enjoys surrounding views over agricultural land, with a lovely sea view. Side view-from walled garden. Plenty of room for the dog to run around safely. 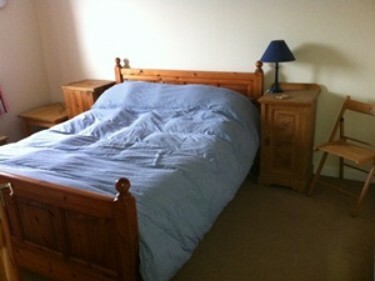 bedside cabinets and large built in wardrobe. The living room is tastefully decorated and furnished with 2 x 2 seater sofa ( one is a sofa bed), arm chair, window seat, TV and TV unit. You have lovely views over open country side from the two windows. A very comfortable and cosy room! The burner in the living room will burn logs (not that many are available in the Orkney's) and coal which can be bought locally. Perfect for a cosy night in! Fridge freezer, washing machine, tumble dryer, microwave oven, gas cooker and all cutlery and cooking utensils. The bathroom is situated just inside the front door, to the front of the cottage. Toilet, wash hand basin with bath and electric shower over.